Twitter recently conducted a survey of 500 U.S. consumers who use the platform at least monthly and, also, participate in holiday shopping. 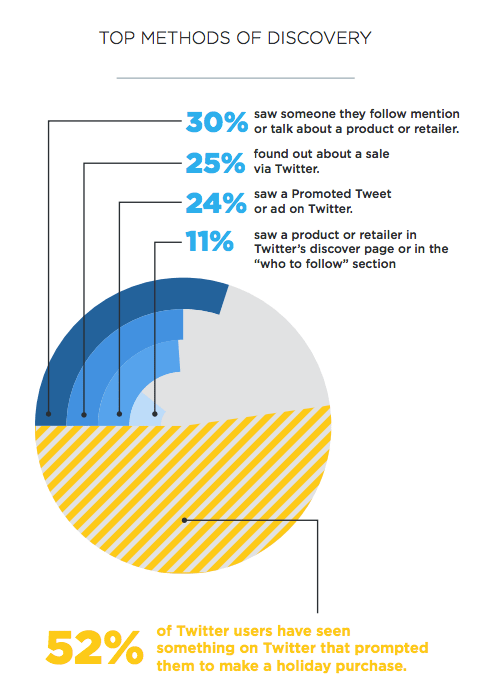 The results provide insight into the shopping behavior of Twitter users. Using the results, I’ll offer seven tips in this article to help ecommerce merchants use Twitter more effectively during the holiday shopping season. Holiday shoppers will seek gift items they believe will satisfy and delight the intended recipients. That opens the door to businesses of all types to serve their needs. 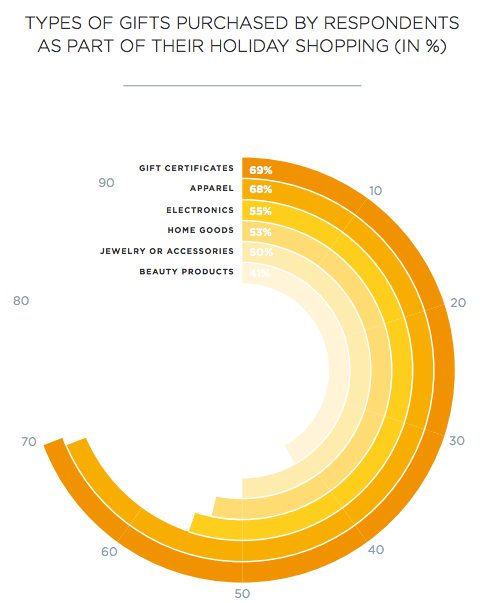 Sixty-nine percent of survey respondents plan on purchasing gift certificates this holiday season. Other categories that respondents plan on buying from are apparel (68 percent), electronics (55 percent), home goods (53 percent), jewelry or accessories (50 percent), and beauty products (41 percent). Tip: Post to Twitter regularly in order to maintain top of mind awareness with current and prospective customers as they research holiday purchases. People expect businesses on Twitter to offer special deals, but that’s not all that interests them. They also want exclusive looks at seasonal inventory and gift purchase ideas. Tip: In addition to promoting Twitter-exclusive discounts and special offers, supply helpful shopping tips, ideas for gift giving, and photos of new merchandise. Keep your voice in front of consumers by sharing relevant content that addresses their needs. Three out of four Twitter users plan to shop online to avoid crowded brick-and-mortar stores. 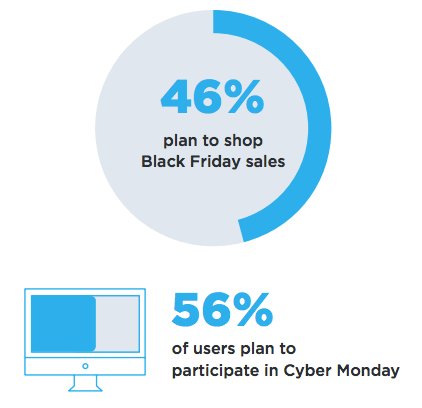 Forty-six percent plan to shop Black Friday sales and 56 percent say they will participate in Cyber Monday. Forty-six percent of respondents plant to shop online on Black Friday. Fifty-six percent plan on shopping on Cyber Monday. Tip: Black Friday and Cyber Monday are heavy shopping days. Consider investing some of your marketing budget on Promoted Tweets or another form of Twitter advertising. The survey indicated the 4 in 10 Twitter users begin shopping prior to Thanksgiving while 1 in 4 wait until December. Tip: That gives you an extended period to reach prospects. Create a content calendar containing a mix of tweets such as those mentioned above. In addition, tweet last-minute deals for those who wait until late in the season to shop. 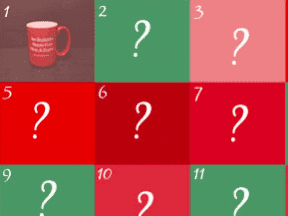 According to the survey, 1 in 3 Twitter users have asked for advice about holiday shopping. They also tweet about businesses with which they have had positive experiences. Tip: Monitor Twitter using tools like Twitter Advanced Search, HootSuite, or Sprout Social to look for shoppers seeking advice. Respond with suggestions referencing products linked to your online store. HootSuite and Sprout Social allow you to create saved searches based on keywords, which can expedite the search process. Set up searches for your @username, brand name, individual product names and product categories. People use Twitter to discover new information, including holiday shopping gift ideas. Product discovery can occur in a variety of ways from reading a tweet that mention a product or retailer, to finding out about a sale from a follower, to seeing a Promoted Tweet that references a product. Fifty-two percent of respondents have seen something on Twitter that prompted them to purchase. Twitter users also act on the information they find. More than 50 percent reported having made a purchase as a result of something they saw on the platform. Tip: Support the discovery process through consistent interaction with current and prospective customers, sharing helpful information and product promotions. Thanks to initiatives like American Express Small Business Saturday, many shoppers are inclined to support small business; that is true of Twitter users, as well. Ninety-five percent of respondents plan to shop from small retailers. Thirty-five percent plan on shopping with smaller ecommerce sites. Ninety-five percent of survey respondents said they plan to buy from smaller retailers, and 35 percent plan to shop with smaller ecommerce merchants — a fact that should give you extra incentive to maximize Twitter’s value for holiday promotions. Tip: Add the #SmallBizSat hashtag to your posts. Create a coupon code to offer customers a special discount if they make a purchase that day. In addition, consider downloading Twitter’s Small Business Saturday marketing toolkit for more ideas on promoting your business. Twitter is only one of many social media channels you can use this holiday season for ecommerce marketing. If you choose to use it, the following actions can help. Post regularly to stay top of mind with shoppers. Provide a mix of content that addresses shoppers’ needs. Dedicate a portion of your budget to Twitter advertising on Black Friday and Cyber Monday. Offer last-minute deals to late season shoppers. Monitor Twitter for mentions of your @username, brand, products, and categories. Support product discovery with consistent interaction and product promotion. Participate in Small Business Saturday by using the #SmallBizSat hashtag and offering a special discount on that day.